my acer q35t motherboard died. I've purchases a replacement - same model, but neglected to copy the pin information for interconnect to the case: power, reset, etc. Can you please provide me with this really needed info? Is it Q35T-AM or Q35T ? OK, please let me know, with which connections, you are facing the problem, like the Hard drive or CD drive connection or power connector or front panel connection etc. i don't remember the case to mmothrtboard pin connections, like power, power reset, power light, disk running light! The pins on the motherboard should be labeled either HDLED or IDELED. Usually they're 'above' the PWRLED pins. Please check the mother board and let me know, if you see any code on the pins, like the pictures below. Click on the "Reply To Expert" tab and reply me back. I have given the image for an example, if you read my reply carefully, you will see that, I want to know, if there is anything printed around the pins or not ? Oh, sorry! 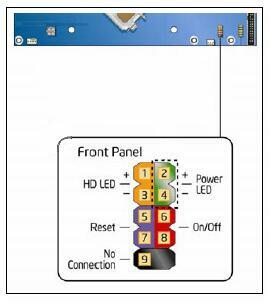 The only writing, other resistor #s, says "PANEL 1"
Does the PINs look like the image below ? 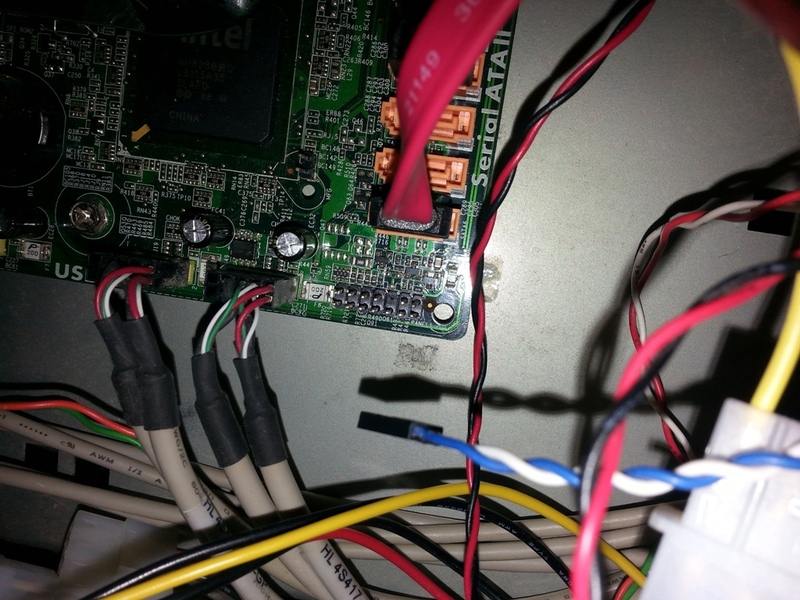 Can you check the image below and confirm, if this is your mother board or not ? Please check the image below and let me know, if the PIN combination matches with your board or not ? 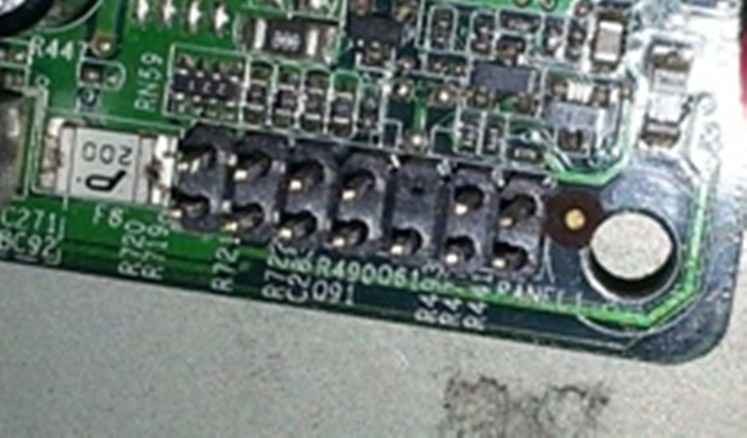 Do you have checked the connectors, which are coming out from the front panel of the PC, does they look like the image below or they are in one single piece ? They are as in the picture. I took a picture of that area of the mb with my phone but can't figure out how to get it to you. Did you transfered the picture to your PC ? Sorry, I do not know, how to upload pictures from smart phones.I think, I got some information, can you tell me the color code the of cables, which are coming out from the front panel, like PWR swt. G/Y , Reset Bl/W etc. Please check the image below and if you have already connected the power cables with the mother board, try to short PIN 2 and 4 with screw driver or tweezer and let me know, if the processor fan starts or not ? Hi I'm Ray and I have the case and the mobo Grant is asking about. I'm going to post a pic of the connector. 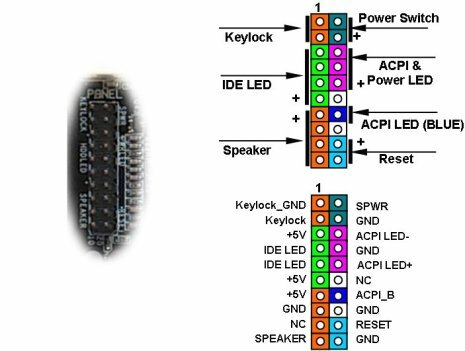 As I asked Grant to short the PIN 2 and 4 after checking the image below, did he or you tried that to power on the mother board. just tried it. doesn't work. Did you checked all the power connectors on the mother board, because most of the time, we forget to connect the 4 pin power connector . all the connectors are in place. Grant brought me the computer. He had installed a different mobo and didn't write down the pinouts. no pins attached at all. I was able to get the machine to boot the the hard drive and did a shut down in windows. Now the computer won't start with the power button or shorting the pins. OK, can you please take another picture, with zoomed in to the connector and post it here. I want to see the marking beside the connectors. Good luck, there's not much there. Can you try to short the PIN number 6 and 8, please check the image below before shorting. That was it. thank you!! Now do you have any idea of what the other pins are? First connect the power switch. Now, connect the Power LED to PIN 2 and 4 if the LED do not turn on then, remove the connector and turn it around and connect it then, let me know. Click the "Reply To Expert" tab below and reply me. neither worked. The connectors are not marked on what I believe is the power led. The wires are green and orange. 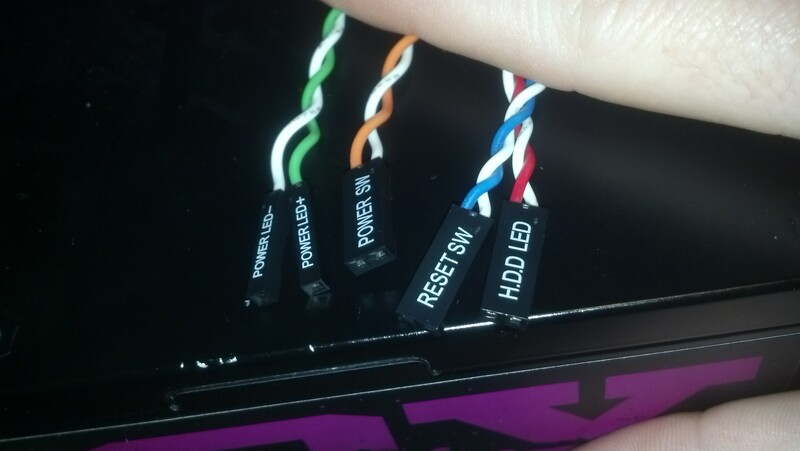 The only other led wires/connectors are forXXXXXleds. 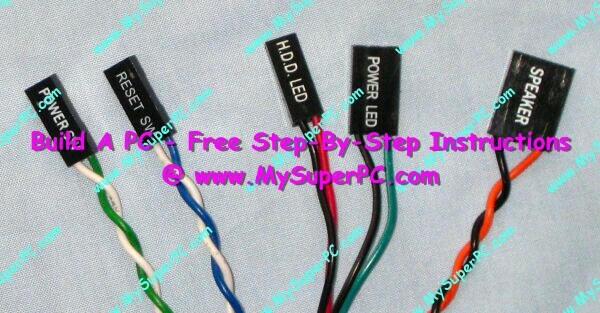 Green and White is generally Power LED, if you do see any markings on the connectors then, you can try to connect them with the Pins one by one and check, but first remember to connect the power switch. You can check the picture below for the color codes. Please let me know, if you need any further help, otherwise please remember to give positive rating, as that is the only way I am compensated for my time and effort.